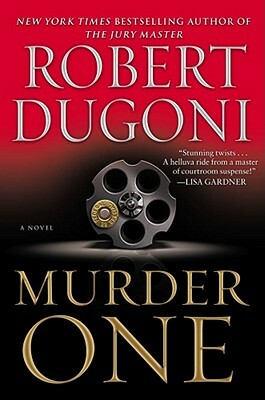 New York Times bestselling author Robert Dugoni delivers another gripping legal thriller in his popular David Sloane series. The case? Defending the woman he loves against a charge of murder. A year after the devastating murder of his wife, attorney David Sloane has returned to Seattle after three months in Mexico. At a black-tie dinner where he’s been persuaded to give the keynote address, Sloane reconnects with Barclay Reid, opposing counsel in his most prominent case. Barclay is suffering from her own personal tragedy—the death of her teenage daughter from a drug overdose. In the aftermath, Barclay has begun an intense crusade against the Russian drug traffickers she holds responsible for her daughter’s death, pursuing them with a righteousness that matches Sloane’s own zeal for justice. Despite their adversarial past, Sloane is drawn to Barclay and for the first time since his wife died, he finds himself beginning to have romantic feelings again. But when Barclay’s crusade stalls and a Russian drug dealer turns up dead, she stands accused of murder, and Sloane is her chosen defender. Amid the swirling media frenzy, in his first criminal case, Sloane finds himself once again in harm’s way, while mounting evidence suggests that Barclay is a woman with many secrets—and may not be quite as innocent as she seems. With his signature fast-paced, page-turning action and exhilarating plot twists, Robert Dugoni once again proves why he’s so often been named the heir to Grisham’s literary throne. Robert Dugoni has practiced as a civil litigator in San Francisco and Seattle for seventeen years. In 1999 he left his law practice to write full time. He graduated Phi Beta Kappa from Stanford University with a degree in journalism and worked as a reporter for the Los Angeles Times before obtaining his doctorate of jurisprudence from the University of California at Los Angeles School of Law. A two-time winner of the Pacific Northwest Writers Association Literary Contest, he lives with his wife and two children in the Pacific Northwest.